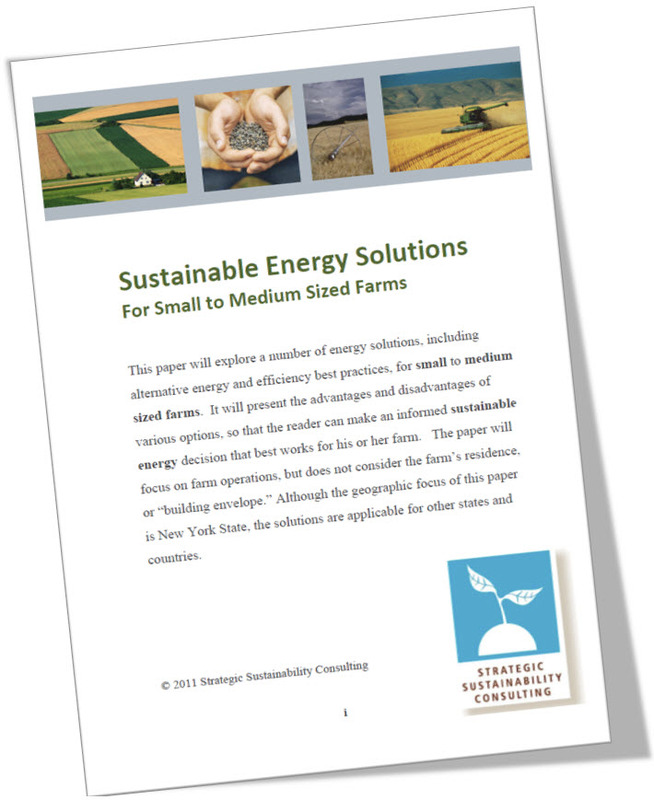 This paper explores a number of energy solutions, including alternative energy and efficiency best practices, for small to medium sized farms. It presents the advantages and disadvantages of various options, so that the reader can make an informed sustainable energy decision that best works for his or her farm. The paper also focuses on farm operations, but does not consider the farm’s residence, or “building envelope.” Although the geographic focus of this paper is New York State, the solutions can be easily applied to other states and countries.